Dear Sydney has hit 2 MILLION reads! This is completely crazy. I remember how much I freaked out over 1 million reads, and in less than 6 months, it&apos;s doubled that! You guys are absolutely incredible. Thank you to everyone who has been so supportive despite the *drama* surrounding my taking down the last chapter and all the spin-offs and sequels and everything going on with that. Since I love you guys and want to give back a little bit, I&apos;m hosting a giveaway on Instagram! Before I go any further and raise people&apos;s hopes, I have to disclose that the giveaway is only available in the US. I&apos;m sorry and I know that makes it so a lot of people can&apos;t win, but I&apos;m not exactly sure how international shipping works and I just want to be able to have my first giveaway go smoothly. Maybe if this goes well then my next giveaway can be open internationally! 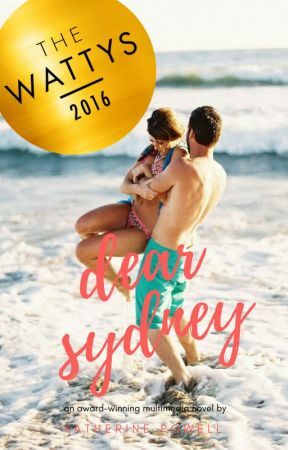 I will be giving away a SIGNED copy of Dear Sydney in print! 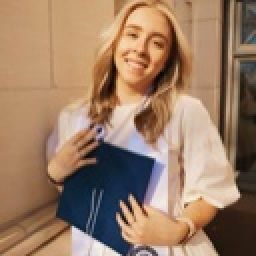 All you have to do is go to @officialkatherinepowell on Instagram and repost the picture (I&apos;ve included it below) on that account with the tag #dearsydney2milliongiveaway. You get extra entries for tagging friends and for sharing on Twitter! Even if you can&apos;t enter, it would mean the world if you guys wanted to spread the word about Dear Sydney and the giveaway anyways. I am so over the moon excited about this and can&apos;t wait to see what the future holds for my books and my readers! You guys blow me away each and every day and I love you guys so much!